Welcome Nicola Bell, Sales Director, UK & Ireland | iiaa Ltd | The UK and Ireland distributor of Environ Skincare, jane iredale makeup and Advanced Nutrition Programme. 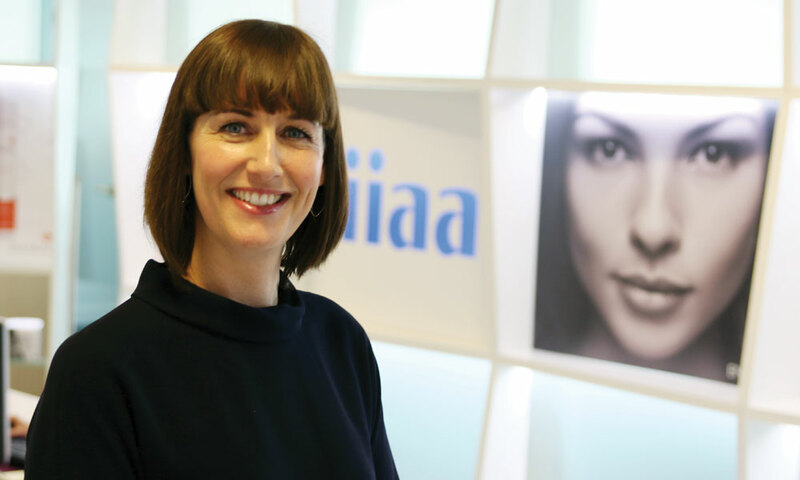 The International Institute for Anti-ageing (iiaa) is delighted to welcome Nicola Bell to its Executive team as Sales Director for the UK and Ireland. Nicola will bring new perspectives to the iiaa organisation whose three year strategy is based on exponential growth of the professional beauty channel, commercial innovation and business service expansion. Formerly Sales Director at Clinique, Nicola has strong experience in sales distribution, brand expansion and demand generation across multiple channels to market. She combines a warm personality with commercial acumen and sales discipline which has delivered sustainable results throughout her career. Prior to Clinique, Nicola held senior national and international sales positions at Nike, Adidas and Lancome. David Alpert, Managing Director, iiaa said: “The company is founded on principles of integrity and efficacy but at heart, even with the massive growth we have enjoyed, we are still a close knit family. Nicola is both an extremely sharp business individual who knows how to lead and develop highly successful sales strategies and an individual who loves to nurture and grow the people around her to reach their potential. We’re all excited that she is joining us”.